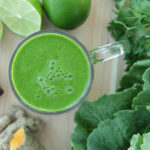 This smoothie is powerful! Energizing and hydrating not to mention delicious. This will freshen your breath and clean out your GI tract, great for anyone who is constipated. 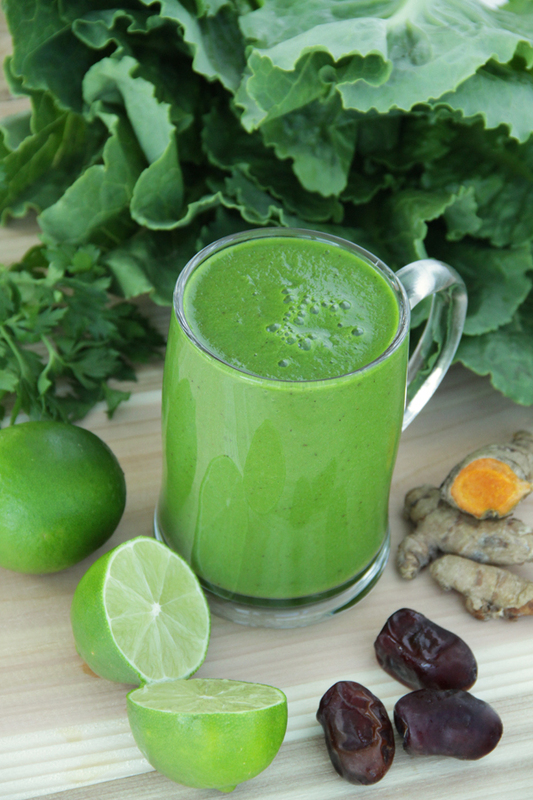 It’s really nicely balanced and the perfect morning energy boost for the body & mind. You will notice a couple optional ingredients in this recipe: turmeric powder + peppercorns. Black pepper and turmeric work synergistically to enhance each others health benefits. I like to add this powerful combo to my morning or post-workout smoothies to help with inflammation, lactic acid buildup, and to help recover faster. On its own turmeric is earthy, fragrant and somewhat pungent, it can have a little bit of a bitter taste. I totally get it if that doesn’t sound appealing – but combine a teaspoon of turmeric powder with ingredients like pineapple, banana, and herbs, and you’re in for a real treat! You can also check out Truvani Amazon and consume these on the go tablets to get all the benefits of turmeric. Your smoothies will be creamier and more filling if you add some frozen fruit. We always have a giant bag of peeled, frozen bananas in our freezer; they make it easy to whip up perfectly cool, thick smoothies at a moment’s notice, and they’re essential to achieve the creaminess you would expect from a “milkshake” like smoothie. But don’t take our word for it. Get blending, and see for yourself! Upon rising, your body is “breaking the fast” of sleep. That’s why the first meal is called break-fast. Your body is in a very delicate state at this point, and needs to be gently led into its encounter with food. It is crucial to have a very light and easily digestible breakfast to open the day. 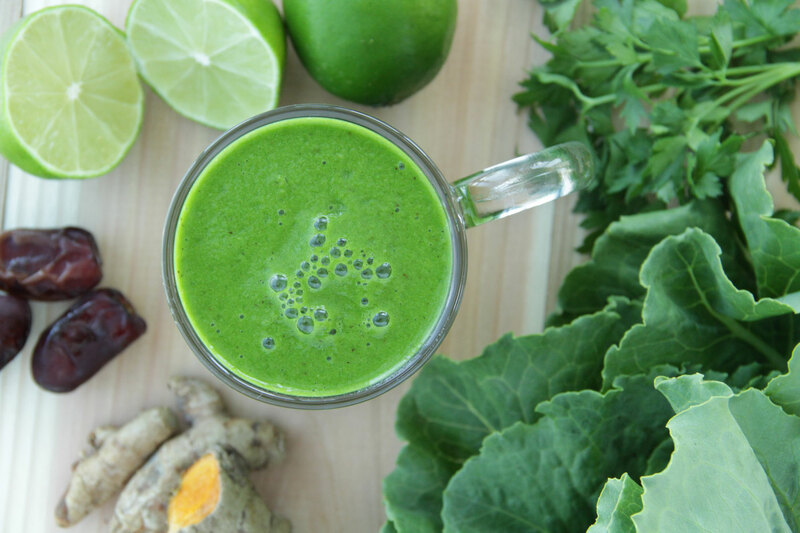 This Good Morning smoothie recipe is the perfect way to do this! Place everything in a high speed blender and blend until smooth.